As a solution to speed the smooth and inevitable integration of drones into the American national airspace, many industry leaders and leading names in technology have debated creating drone highways. 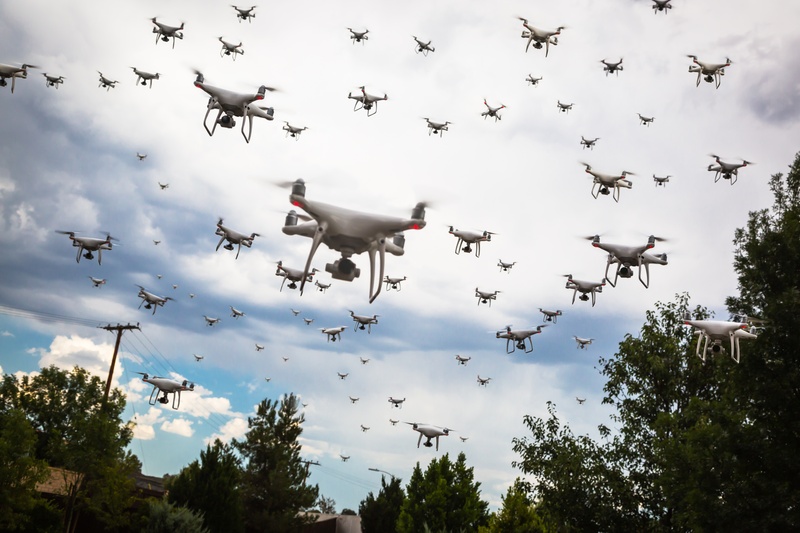 In 2015, the Federal Aviation Administration (FAA) issued a warning that “operating drones around airplanes and helicopters is dangerous and illegal” after declaring that pilot drone sightings have multiplied dramatically since 2014. As drone operators continue to increase and millions of drones begin entering our skies, the aviation community is accelerating their research to prevent any further collisions and unfortunate accidents. Together the FAA and NASA have taken great strides toward UAS traffic management and the safe integration of UAS into the national airspace. Along with other industry partners, the two government agencies are developing a plan and researching the requirements for a UAS Traffic Management (UTM) system that supports safe and effective commercial drone operations. For instance, one of NASA’s most recent demonstrations of drone traffic management solutions took place during a month-long study known as the Technology Capability Level 2 (TCL2) National Campaign. The campaign tested UTM technology and concepts at six test sites across the U.S. And, unlike the nation’s current air traffic management system, a system for drones won’t rely on human controllers. Instead, a UTM system will electronically receive and manage alerts and consolidate real-time flight data to ensure UAS flight safety and a reliable COP. Amazon proposed a portion of airspace to be set aside specifically for UAS, or a drone superhighway. This would eliminate some of the biggest hurdles for UAS flight safety and expedite the company’s drone delivery plans. In their proposal, Amazon suggested that commercial drones be permitted to fly at an elevation between 200 and 400 feet, clearing a high-speed transit zone solely for commercial UAS operators. Also, this November, the FAA launched the UAS Integration Pilot Program to enable state and local governments to partner with commercial UAS operators to accelerate safe UAS integration. Together these tech giants and government agencies are paving the way for a drone superhighway. A drone superhighway may be on its way, but roadblocks still exist, from legal hurdles to the lack of a functioning drone traffic management system. However, UAS technology coupled with an Operational Intelligence (OI) platform can deliver the situational awareness necessary to enable UAS operators to operate safely and efficiently in the increasingly congested airspace. Simulyze’s OI platform and applications provide UAS operators with real-time data insight that can be accessed from anywhere in any format, and offer a common operating picture (COP), which enables well-informed decisions and the safe integration of UAS into the nation’s airspace. OI integrates and visualizes all aspects of multiple flight operations into a single interface to help operators plan and carry out missions safely amongst fellow unmanned and manned aircraft. Schedule a demo with Simulyze today to learn more about our operational intelligence applications that provide a foundation for UAS flight safety.